I forgot all about this. I had the email the other day. Pretty late now to pull something together. I did a large format book with them last year and used their luster paper (I ordered samples first) and the book came out extremely well. The colors were spot on and the paper was thick and luxurious. I used a photo cover and the contrast was a bit lower there, but was expected as the cover was matte but that also makes it smudge resistant. The same image in the interior of the book was perfect. I created my double page layouts in Photoshop and then imported them into InDesign, and added page numbers there. I may not use it as a high end product where you want a special embossed box or mix of matte and glass covers etc., but I as pleasantly surprised at how nice it was. 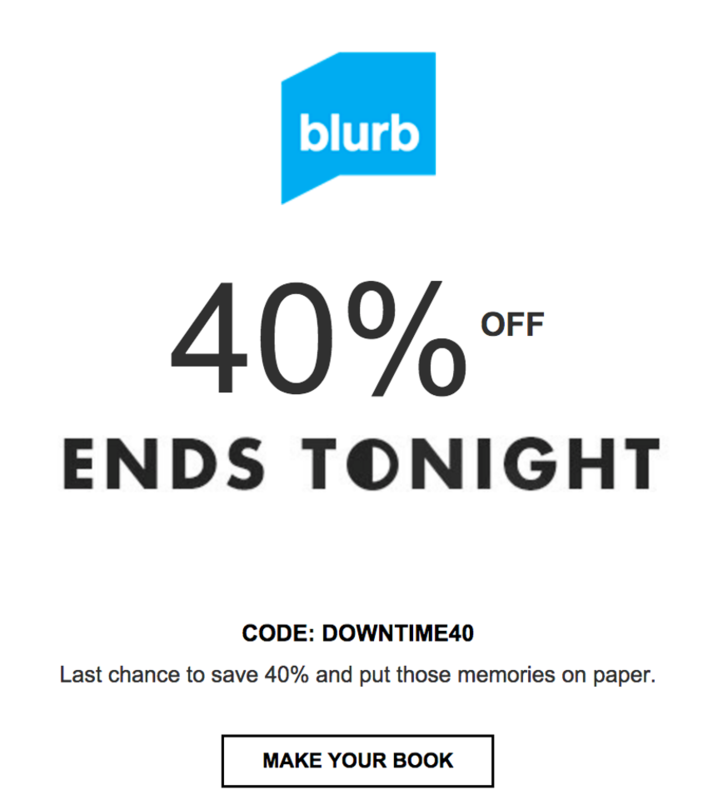 If you have already started on a project, 40% is a really great deal. The point is to have a book ready to buy when such an offer arrives. Nice cover you have in your book Maggie... I am sure the inside is also brilliant !